Susan Hamil serves on the Board of Directors of the AKC Canine Health Foundation. Ms. Hamil graduated from Louisiana State University with a Bachelor of Science degree in Education and California State University Fullerton with a Masters degree in Library Science. She is a licensed veterinary technician in the state of California and manages Canyon Animal Hospital in Laguna Beach. 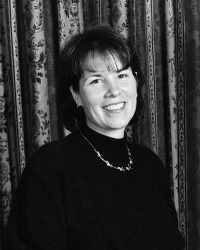 Susan serves on the Board of Directors for the Orthopedic Foundation for Animals. She is a member of the American Bloodhound Club and served on their Board of Directors as President and AKC Delegate. Susan was a founding member of the California Federation of Dog Clubs and also of her local breed club's shelter rescue program. Susan and her husband, John, have three grown sons. They live in Laguna Beach, California.